Mitzi is a hole in the wall type of stall at the Machane Yehuda market in Jerusalem. Owned by brothers Roni and Itamar, they named the place after their dad who always wanted to open up a restaurant. Itamar is the front of the house and Roni does the cooking. Their menu has only 3 types of protein on it: roast beef, spring chicken or a hamburger. The burgers there are made from a pile of fresh ground beef that is weighed for every order and cooked on a flat-top and not a grill. Cooking it on the flat-top gives it that’s crust that a good burger needs to be amazing. I asked them to top it off for me with some roast beef because there isn’t a better topping for a burger than more meat. The Kashrut there is under the supervision of the Rabbanut of Jerusalem. Simple menu and great burgers. Moses is a burger chain that has been around for a couple of years in Israel, with locations all over the country. A couple of months ago, they decided to open up some kosher spots too. Under the supervision of the Rabbanut of Jerusalem, they opened up in Cinema City, which has become a restaurant center in the heart of the city. 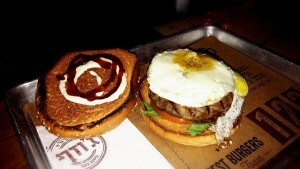 Moses specialty burger is the Art burger, made out of 3 cuts of meat: Veal, beef and lamb. A really great burger cooked to a perfect medium rare with a side of sauces made in house and it is just a work of art. A tip for first timers, any topping you’d like to add, ask them to put it on your hamburger; otherwise it will come on the side. One of my favorite burger joints in the city. Black Bar n Burger gas 2 locations in Jerusalem and both are kosher under supervision of the Rabbanut of Jerusalem. What makes this one of my favorites is their consistency. 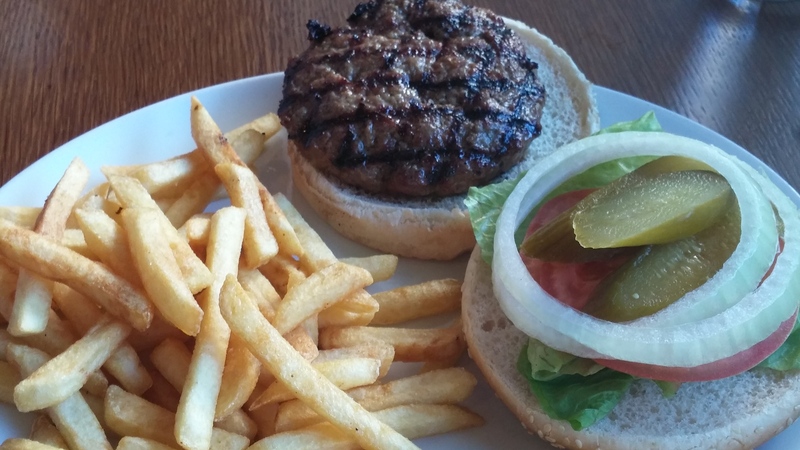 The burger you order always tastes the same as the last time you ordered. 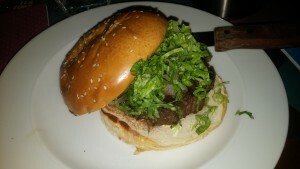 The burgers there vary from pure ground beef to ground rib eye – which I highly recommend (it’s called the Norma Jean). For those adventurous carnivores there is a 1 pound burger called the T-rex and comes with a pint of beer which is delicious and cooked perfectly. The place also offer a nice range of alcoholic beverages while catching a game on TV. 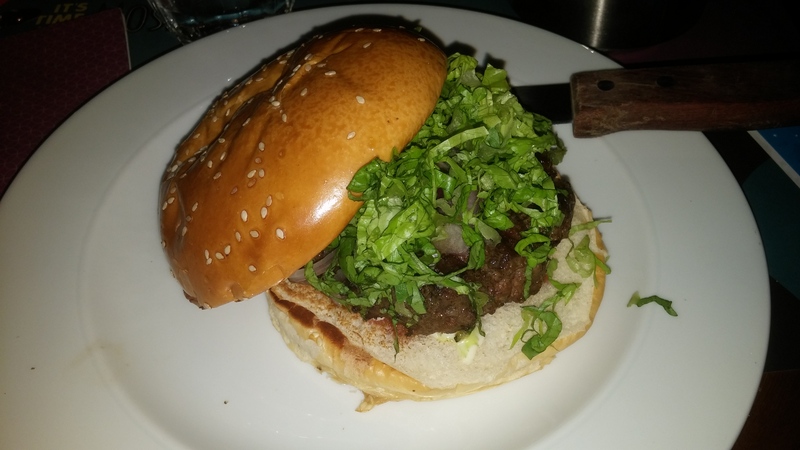 Located right outside the Machane Yehuda market, Josef burger is a great place to get a burger with a Mehadrin hechsher under the Rabbanite supervision. It is owned by the infamous Stekiyat Hatzot that has been open for over 40 years selling the best Jerusalem grill in a pita you will ever eat. The burger there is a classic hamburger, but they taste amazing. 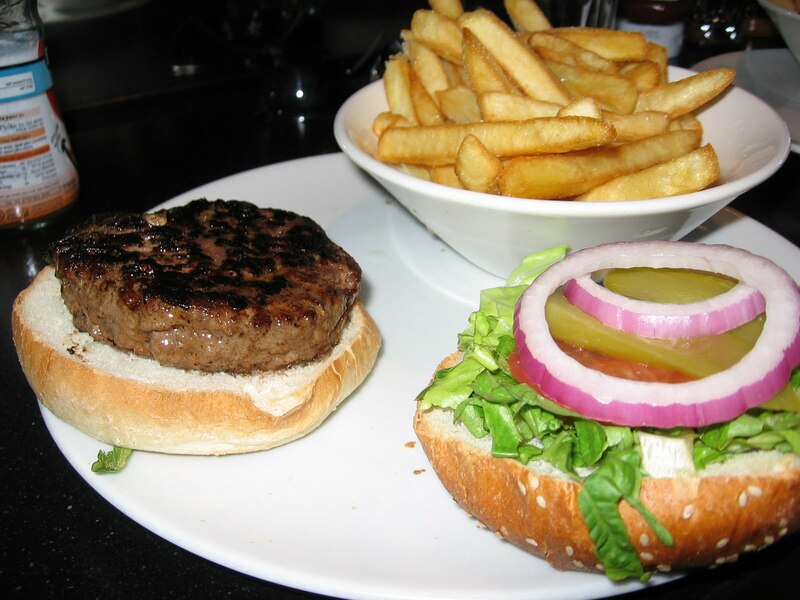 Order your burger with a pint of whatever’s on tap and you are set for the evening! Mike’s Place is the only real American style sports bar and grill you will find in the holy city. 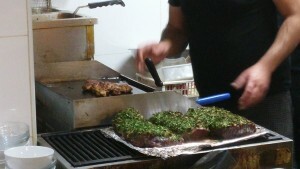 The only kosher branch of Mike’s Place: the food is under the supervision of the Rabbanut of Jerusalem. All the waiters speak English and are more than happy to help. Mike’s Place is not only a bar but the food there is great too. Their menu is not only bar food but you can get Mexican food there too. But let’s get back to their burgers. They cook it really well and the corned beef topping is a great addition to it and it’s also a great place to listen to live music too.